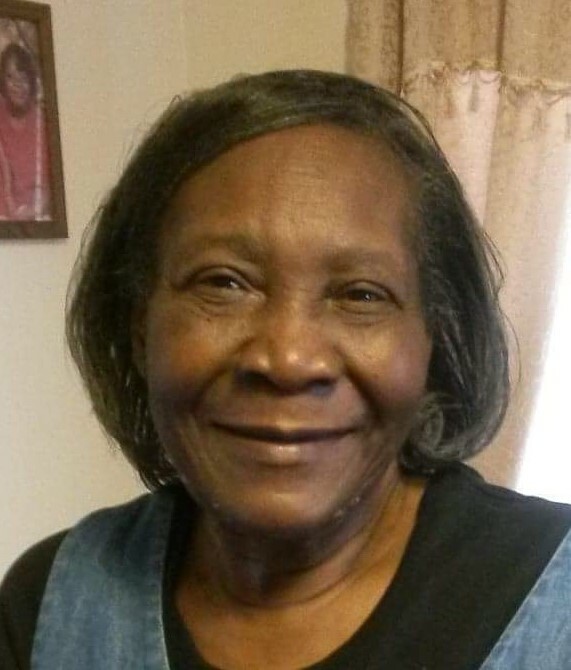 Mother Joanna Brantley Johnson, 76, departed this life on Friday August 31, 2018 in Marion County. She was the mother of Barbara Johnson, Leslie Johnson, Robert Johnson, Christiana Johnson and Stephanie Mason. You may visit the family at 511 B Waverly Way St. Marion. Funeral services are scheduled to be held at the Jackson & McGill Memorial Chapel, Marion Thursday September 6, 2018 at 11:00am. She will be laid to rest in the Jackson & Daughters Cemetery, Marion. Mrs. JoAnna Brantley Johnson aka “Jo” was born in Marion South Carolina on June 30, 1942 to the late Willie Lee Brantley and Fleetie Hannah Brantley. She was one of ten children. She was preceded in death by seven siblings; Margaret Cross, Laura Rowell, Lizzie Williams, Bennie Brantley, Samuel Brantley, Robert Brantley and Beulah Marble, grandchild; Cynthia Patrice Johnson, great-grand; Xavier Stephon Wheeler. JoAnna attended the public schools of Marion South Carolina and graduated for Johnakin High School as Valedictorian of her class. JoAnna was a kind and loving person, loved by everyone who met her. She lived a Christian life. She love the Lord and instilled the love for Jesus in her children and grand- children. JoAnna was united in Holy matrimony to the late James Ellison Johnson, to this union five children were born. JoAnna leaves to cherish her fond memories her children, four daughters; Barbara M. Johnson, Leslie R. Johnson, Stephanie (Anthony) Mason, Christiana D. Johnson all of Marion South Carolina, one son Robert D. (Pamela) Johnson of the home, two sisters Hattie (Lester) Davis of Bronx New York, Susie B. Mason of Philadelphia PA, ten grandchildren, seven great-grandchildren, a host of nieces, nephews, family and friends.